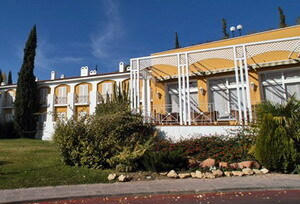 Hotel Las Adelfas is a deluxe property located 125 miles southwest of the Seville Airport. Located only 2 miles northwest of the Mosque Cathedral, on a quiet secluded rise in an un-crowded low-rise suburb of El Brillante is where you will find this facility. 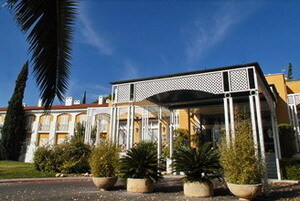 Situated in the most prestigious area of Cordoba, this hotel is just 10 minutes away from the center of the city. 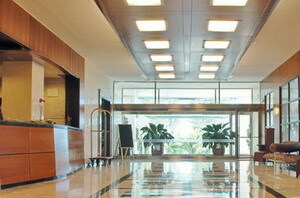 Business and vacation travelers alike will always find something to do at this beautiful hotel. This facility is a well-presented and exceptional option in a peaceful spot. 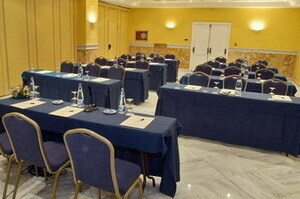 It is within easy reach of local buses and suits large groups. Comfortable facilities and convenience are qualities that you will come to expect during your stay at the Hotel Las Adelfas. A cordial and attentive staff warmly welcomes you. 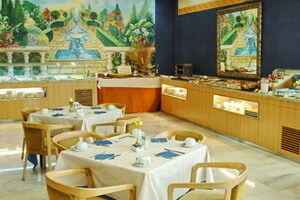 The hotel is only minutes away from fine dining, shopping and entertainment venues. 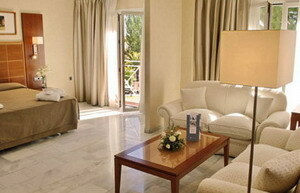 The guest rooms are conventional and spacious. All of the 100 rooms are comfortable and nicely equipped with a bath or shower, air conditioning, satellite TV, radio, direct dial phone, mini bar and a hair dryer.